Churches frequently expect traditional seminaries to produce well-formed, fully-competent pastors. 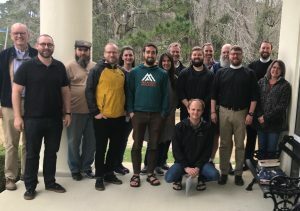 While seminarians usually graduate with biblical and theological sophistication, sometimes they lack spiritual and practical formation—essentials which seminaries are not well suited to provide. There is no better place than the church for pastoral formation. The Simeon Fellowship for Pastoral Formation provides a setting for equipping the next generation of church leaders in the context of local Gospel-centered churches. 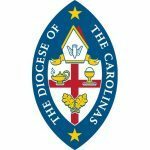 Participants, usually recently ordained and/or those who in full-time ministry, meet once a month and mature within a covenant learning community finishing with a lifetime commitment to ongoing growth, both personally and professionally. MISSIONAL: Missional emphasis focused on the development of intellectual, ethical and spiritual competencies necessary for Gospel ministry within dynamic church- planting movements. HOLISTIC:Holistic, experiential learning in the context of traditional Christian worship, meals, spiritual disciplines, formational experiences, and recreation. COLLABORATIVE Collaborative teamwork among local Gospel-centered churches from multiple denominations. COLLEGIAL: Collegial, fraternal camaraderie among participants and spouses, fostering long-term, life-giving friendships. ORTHODOX: Orthodox faith & practice, for the equipping of the saints, to know the Lord Jesus Christ and to see his kingdom come on earth as it is in heaven. DISCIPLE: A pastor is foremost one who follows and abides in the Lord Jesus Christ and is being transformed by his Spirit. PROPHET: Pastors must be prepared to understand, apply, preach and teach the Gospel faithfully in varying contexts. SHEPHERD: Pastors must love, counsel, discipline, and protect those whom Christ places under their care. STEWARD: Pastors are called to servant leadership as they administer the affairs of the church. MISSIONARY: Pastors are called to be leaders beyond the walls of the church in the mission of the church in the world. PRIEST: Pastors follow the example of Christ in leading people to God in worship and prayer. The Simeon curriculum combines breadth and redundancy in order to form pastors as Prophets, Shepherds, Missionaries, Disciples, Stewards and Priests. The first three of these six roles (The Pastor as Prophet, the Pastor as Shepherd, and the Pastor as Missionary, are studied on a monthly rotation in Formation Workshops and Retreats, such that each role is considered 5-7 times over the course of the 2-year program. During each of these sessions a particular role is addressed, a different aspect of that role is under consideration. For example, during the 2-year program, the topics concerning the Pastor as Missionary will include care for the poor, vocation and stress, ethnicity, sexual ethics, money and materialism, and exegeting communities & developing missional strategies. The Pastor as Disciple and the Pastor as Steward are the topics of annual retreats. luation and encouragement. There is also a focused session on priestly ministries at the end of the two-year program.